2018 was a year full of projects and service and 2019 will be nothing short of that for TMP. Thanks to one of our team members, we have a new community partner in the Nashville Rescue Mission. We love it when our employees share their community connections to benefit our team. Our own Laura Hood brought the Nashville Rescue Mission to our attention through her friend Cheryl Chunn, the Director of Large Gifts for the Mission. After volunteering Thanksgiving Day, she set up a company-wide volunteer opportunity to begin our year of serving Middle TN. This month a group of employees headed downtown to the Men’s Campus. The team sorted bedding and towels in the men’s warehouse, organizing the wealth of donations the Mission receives. Now guests can easily pick out the right size for their beds, without having to sort through a giant pile of sheets themselves. While our team was working, a gentleman staying at the mission came downstairs looking for full sheets and they were able to find a set quickly for him. Now that’s service in action. The Nashville Rescue Mission has been serving the community since 1954, creating a Christ-centered community dedicated to providing hope for today, tomorrow and eternity to the hungry, homeless and hurting. They provide services to our city’s homeless, meeting their immediate and basic needs in a safe environment and offering recovery programs for counseling and spiritual encouragement. 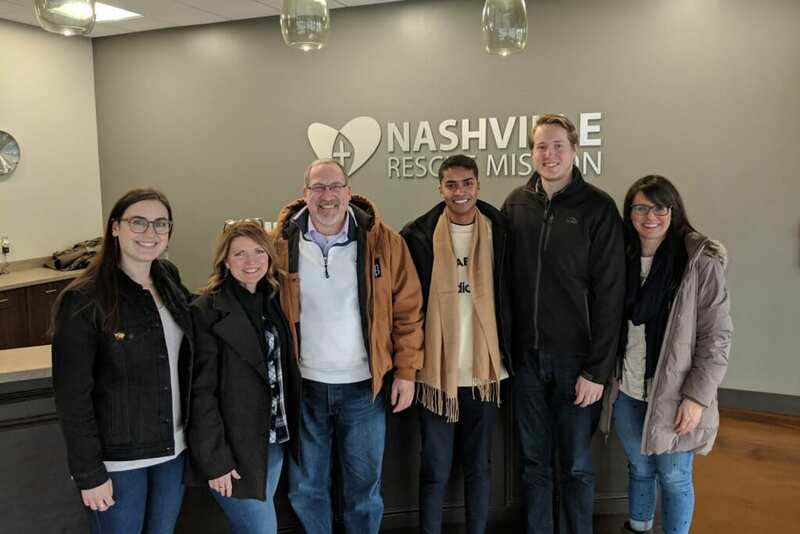 Our community partners come from the organizations our employees and clients value and support, so thanks to Laura for sharing the Nashville Rescue Mission with us.